Beauty experts say hands and dark circles under the eyes betray a woman‘s true age. You can fix the first problem simply by applying nourishing hand cream twice a day. As for dark circles, they are not that easy to get rid of. Yet, there is always a way out! Garnier has launched a brand-new product – an eye roll-on with the cooling effect. 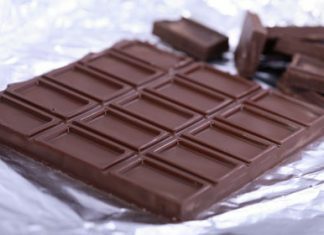 The formula is based on caffeine that stimulates blood microcirculation. 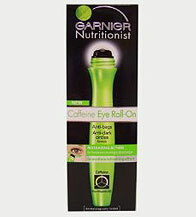 The metal roller ball of the Garnier roll-on has a cooling effect which works for the puffy eyes. The gel has a delicate and pleasing texture. The roll-on massages, refreshes and hydrates the eye area. You can carry the sticker in your cosmetics bag to use it in the office when needed during the day. The product is really useful when on-the-go. 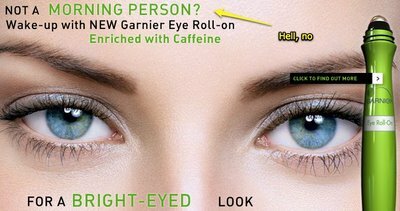 Garnier roll-on would effectively refresh your tired-looking eyes after a long flight. According to some product reviews, it doesn’t dry out the eye area, although some say, is doesn’t do much for the dark circle look either. At the same time, some got the results after a couple of days of its use. Others note, it’s not worth the money ($15.95). Anyway, I decided to buy it and to try it out to know it from my own experience. As this seems to be individual if it’s helpful or not. Hope, the new Garnier Roll-on will do more than just an ice piece. I tried the Garnier Roll-On and I have to say I am not impressed. I have horrible dark circles and puffiness under my eyes and I have tried many things. I was excited to see a new product that may help. At least I thought it couldn’t hurt. I have been very disappointed. It has not helped me at all. I would suggest that people save their money. Lara and Stephanie, thank you both for sharing your experience. I’m sure, it will be helpful for others when deciding to buy or not to buy the Garnier Roll-on. I am 16 years old and I have really bad dark circles. All of my friends at school ask me if I am eating well or not and as a matter of fact I am and I also get 8.5 hours of sleep each night and I am not stressed about anything. I don’t know whether or not I should buy the Garnier Roll-On. I need some advice please! Yes, you should it is FANTASTIC. I have been using it for a week now and I am starting to see results. Reduced puffiness but the dark ciricles are still there. Hope they will go away soon as well. 100 % happy on the puffiness though. Finally a product that works. I have bought the Garnier Roll-On and I’ve used it. It works on the puffiness but not my dark circles. I need help getting rid of my dark circles is there something someone knows which would help me, I am ready to try just about anything. Please I need some advice. Hands down. Green bag wins everyday. It’s a huge difference of using a plastic bag and green eco bag. You feel like you are doing something good to the environment. We love the feeling and we will continue doing it. Btw, thanks for writing this article. It is awakening! I just bought the Garnier roll on 2 weeks ago. Its refreshing, but I dont know…i was using a cheaper product from Avon. I wonder if im wasting my money, cause ive heard Avon has improved a lot. Can you help me? From alot of articles/website, this product seems to work really well! (I got the garnier eye roll on with tinted concealer + lemon scent). Anyway alot of people says there is a instant effect for eye puffiness but it would only work on dark circles if you apply the product daily for a long period of time. And depending, on what reasons you have dark circles e.g. genetics, sleep deprivation, and how long you have had dark circles, the product may not effectively reduce dark circles.